Experience unparalleled safety and luxury in the new 2019 Lincoln MKC—a high-performance, high-style crossover. Numerous safety features, luxe interiors, and of course, Lincoln’s smart design, all come together in a crossover as capable outdoors as it is comfortable within the city limits. Because roughing it doesn’t mean compromising on comfort, safety, or style. From the moment you lay eyes on the refined 2019 Lincoln MKC and its redesigned signature grille, flanked by dramatic LED headlights, you know you aren’t looking at an ordinary crossover. 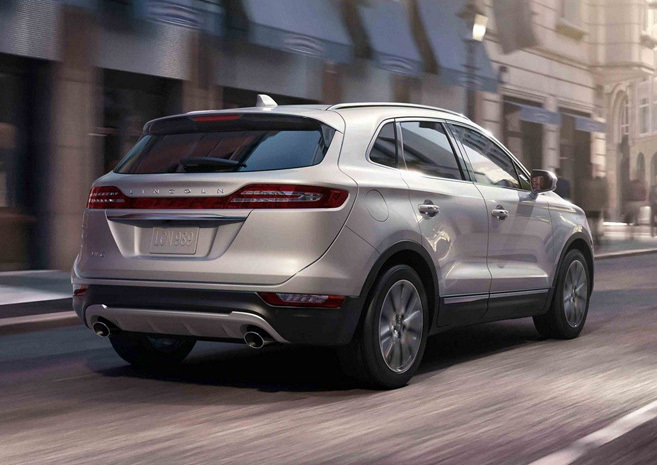 A low roof contrasts with the MKC’s broad stance, conjuring the feeling of something sporty and athletic. When paired with one of Lincoln’s bold wheel options, you’re sure to turn heads. Your Lincoln MKC will welcome you, warmly, with brightened exterior lighting that senses your approach thanks to the Lincoln Approach Detection System. Once inside, ambient lighting will help set the mood for you to sink into plush Bridge of Weir Deepsoft heated front bucket seats. From there, you can survey the incredible design and craftsmanship that goes into every Lincoln. In addition to incredible design, the 2019 Lincoln MKC powers forward with absolute certainty and immense power. An available 2.3L twin-scroll turbocharged engine brings 285 horses and 305 lb-ft of torque to any road you find yourself on, good for a towing capacity of 3,000 lbs. The engine is channelled through a six-speed SelectShift® automatic transmission with wheel-mounted paddle shifters, allowing you to take control when you want, and to provide excellent fuel economy at all times. Aiding in that impressive fuel economy, is Lincoln’s Intelligent All-Wheel Drive, which monitors traction and shifts power and torque among the front and rear wheels to provide impeccable handling. Safety features like AdvanceTrac® with Roll Stability Control, and the available driver-activated Adaptive Cruise Control provide peace-of-mind no matter where your adventures take you. 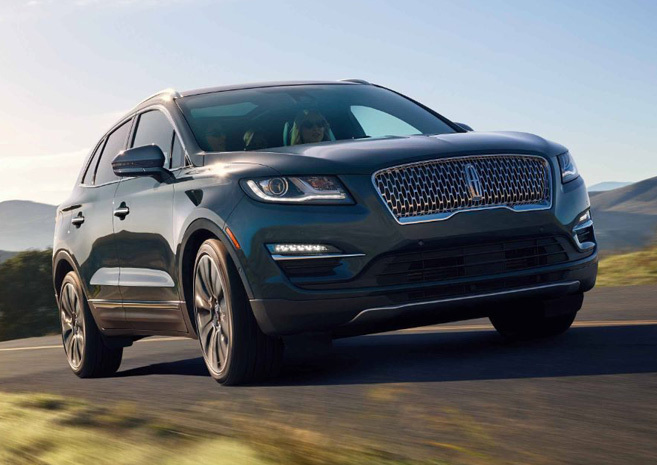 A capable crossover with a light a touch, the 2019 Lincoln MKC provides safety, comfort, and style. Take part in the type of luxury experience only available in a Lincoln, by test-driving the 2019 Lincoln MKC — available at Mississauga’s Whiteoak Lincoln.